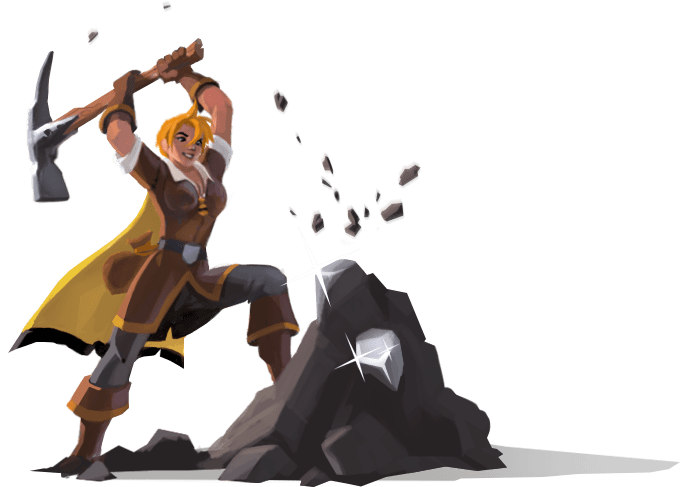 I recently started playing the unique Sandbox MMO, Albion Online. The game is still in closed beta, but I wanted to record my adventures in the game. I decided the coolest way to do this would be in the form of a diary of my character. The game doesn’t really have a story or narrative, instead it asks players to create their own by adventuring, exploring, forming guilds, and fighting for control over the world’s territory. This is the part one and I plan on each “Diary Entry” to cover about 4-8 hours of game time. I hope you enjoy reading about my adventures as I explore this interesting game world. I have finally arrived. After leaving my old life behind and sailing for months, I have arrived upon the shores of Albion. All I have with me are the clothes on my back. or more precisely, around my waist. Here I am standing upon a foreign shore with nothing but hope and ambition. The land of Albion isn’t much to look at; it’s covered with snow and nothing grows. The trees are leafless and dead, and the only animals appear to be some kind of hare. My bare, shivering flesh made it very clear that I should acquire some new clothes. It was far colder here than back home that much I was certain of. This land seemed cold and unforgiving. It was clear that survival on Albion would be a true test. After catching and skinning a few unlucky hares (I can still hear them squeaking) I decided to head to the local port town to get my bearings and hopefully get something to eat. I took the rabbit carcasses with me and traded them for a bowl of mediocre stew. There was plenty of people in the small port town. It appears that lots of ships had been arriving from the old world ferrying would be adventurers, explorers, and opportunists to the region. After asking around town it became clear that Albion was a dangerous place and so I decided to arm myself. I spoke to the towns blacksmith who was willing to craft me a set of weapons and armor if I brought the materials to him and paid a small fee. Gathering the materials was difficult at first. Not having the proper tools made the work grueling, but I got through it. I decided to build myself a set of tools before I tried to gather the materials for my armor and weapons. 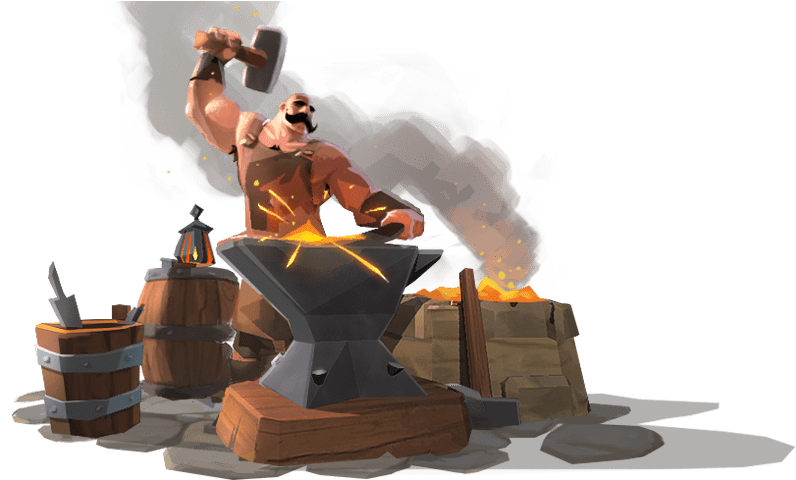 The blacksmith informed me that the best way to pay for his services would be to gather excess materials and sell them on the market. According to him there is quite a lot of demand for resources and many folk become gatherers to fulfill the demand. It sounded like a sure fire way to make money, but I wasn’t here for that; I was here for adventure. I had heard rumors on the ride over to Albion that at the heart of the region there were enormous cities ruled by powerful guilds. They warred against each other for power and against the forces of evil that inhabited the wilder parts of this land. That was why I came here. After a couple of days of chopping trees and mining ore my arms ached, but my resource haul was pretty big. At first my gathering skills were sloppy. I was ruining plenty of good wood and ore with poorly timed swings and inaccurate chops. Eventually I got the hang of things and my gathering speed increased as did my yield. I went through a couple of good axes, but I thought ahead and brought spares. I found good areas just outside of town to gather the raw materials I needed. I felt relatively safe considering I stayed close to the road and nearby town, but I saw several bloodied adventurers limping back to town. It gave me pause. Perhaps I was better off becoming a trader or gatherer? By the end of the third day I was ready to head back into town and peddle my wares. I sold what resources I didn’t need and made a pretty penny. The rest I refined and took to the blacksmith so he could craft me what I needed to start my real work. A few hours later and I was the proud owner of a full set of sturdy armor, a large round shield, and a razor sharp short sword. At least now I looked like a brave adventurer. I thanked the blacksmith for his services, paid him the crafting fee, and then set out on my first real adventure into the wilds of Albion. It was time to explore the wilderness and test out my new sword.